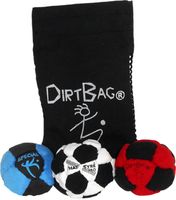 Three wonderful Dirtbags and and logo pouch. 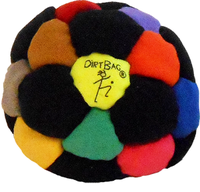 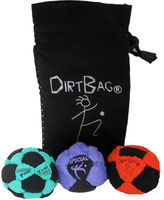 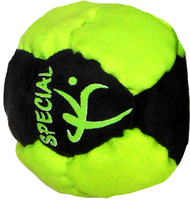 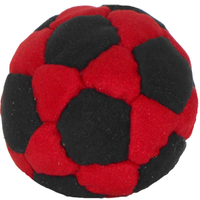 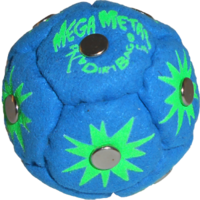 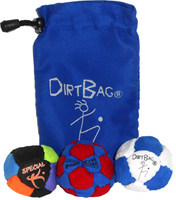 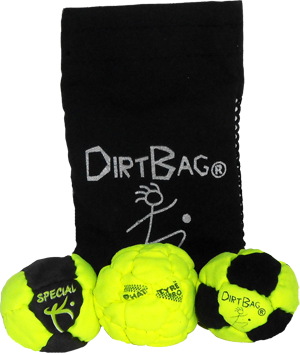 This offering comes with a Dirtbag 14 panel, a new Special K footbag and our top of the line PT Pro footbag. 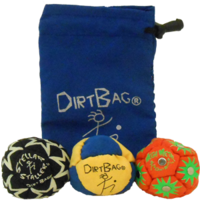 Add to that a great little carry bag and you get happy feet that are ready to go Pro.